I'm just guessing this is Chloroperlidae, since it's little and yellow. If anyone has a less haphazard identification, feel free to post it. 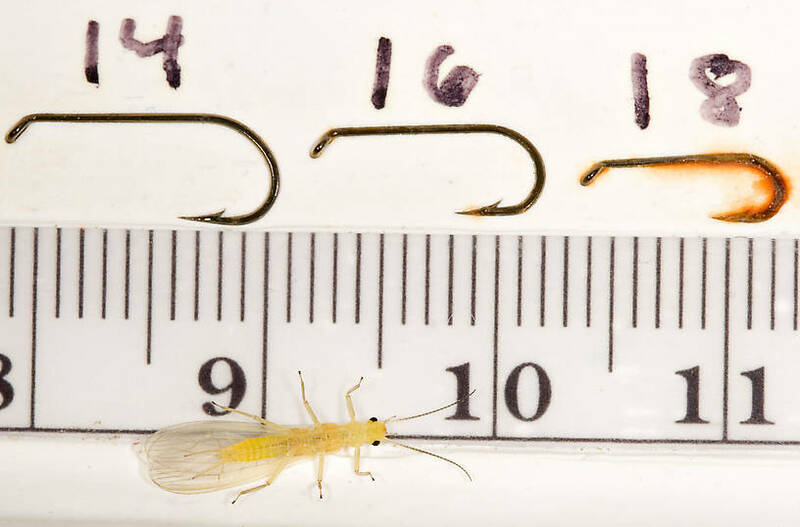 This stonefly was collected from Mystery Creek #62 on May 15th, 2007 and added to Troutnut.com on May 18th, 2007. This about all stonefly adults in general. I only picked this specie cause I am tying some for dry fly use right now. 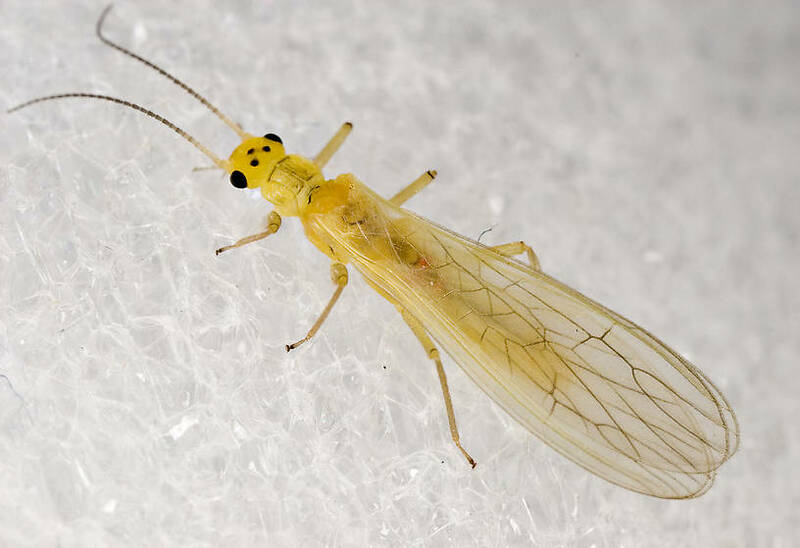 What is the typical or preferred water type where stoneflies lay their eggs. I have seen some of them drop to lay eggs at the head of a pool, and others at the tail area near the bank. Do they more or less return to runs, and riffles or quite pockets behind boulders ??? I believe this is probably Sweltsa onkos. 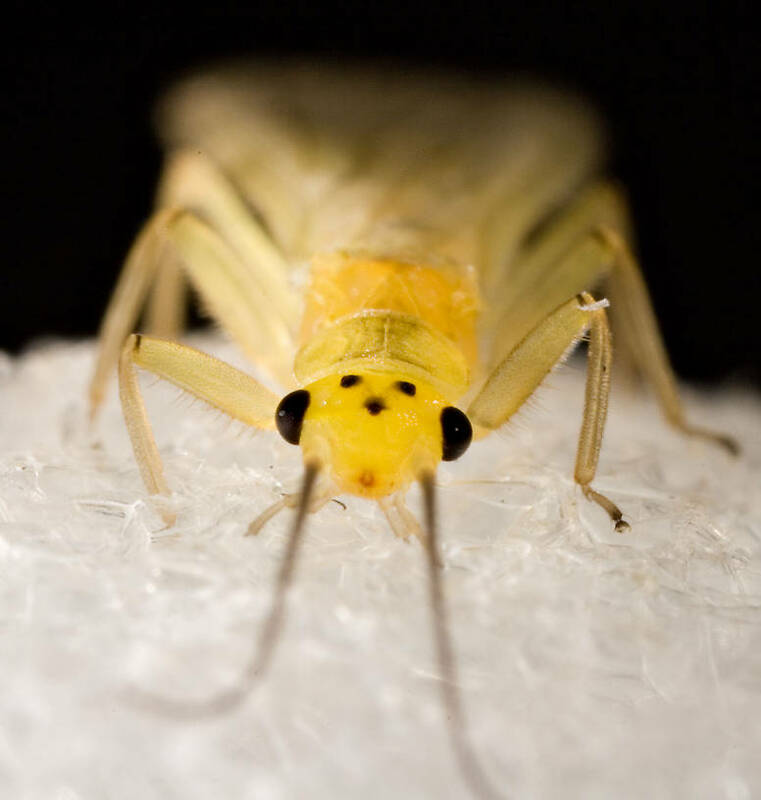 There are three Sweltsa species commonly listed for most of the Northeast (onkos, naica, and lateralis), and their individual pronotum/head markings seem rather distinctive.